Intelligence in the form of well-organized solutions to the ill-posed problems has been the primary focus of many engineering applications. The ever-increasing developments in data fusion, sensor technology and high-speed microprocessors made the design in digital domain with high performance. A natural consequence of the progression during the last few decades is the emergence of computationally intelligent systems. Neural networks and fuzzy inference systems constitute the core approaches of computational intelligence, whose methods have extensively been used in the applications extending from image/pattern recognition to identification and control of nonlinear systems. 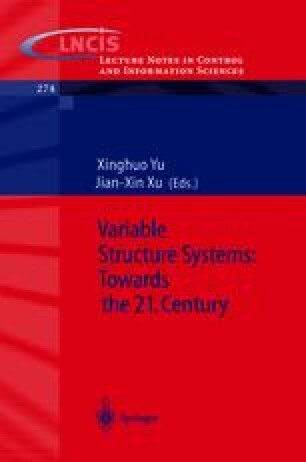 This chapter is devoted to the analysis and design of learning strategies in the context of variable structure systems. Several approaches are discussed in detail with special emphasis on the sliding mode control of nonlinear systems.